Snapshots from Monday night: This is part II of our coverage. Go here for part I. The awardees yucking it up. 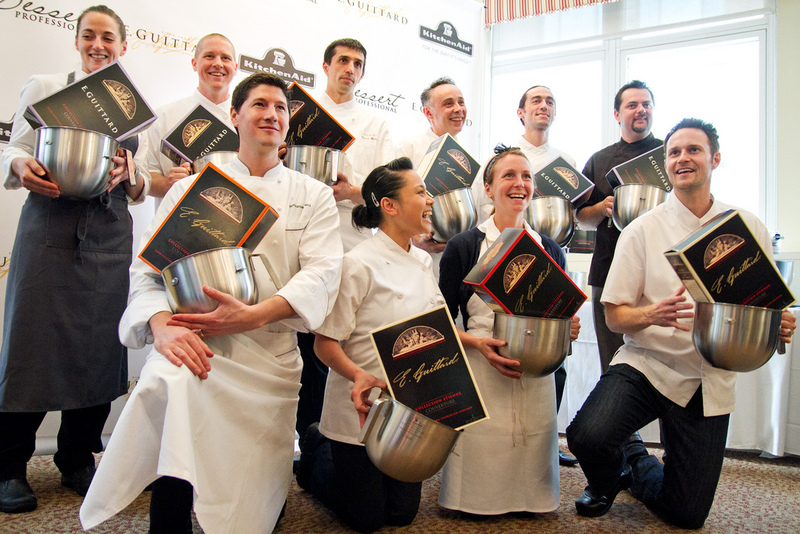 They each received engraved stainless steel mixing bowls and monster boxes of chocolate from title sponsor E. Guittard. I believe they also received mixers from sponsor KitchcnAid. 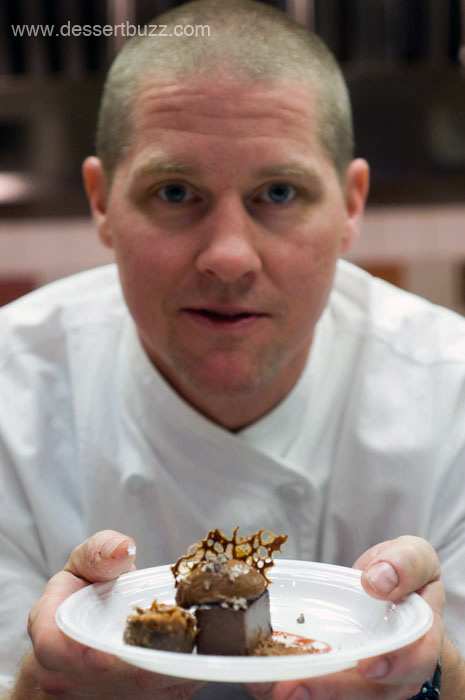 Craig Harzewski from Naha in Chicago, IL with his dessert that included deep-fried-to-order beignets. Michelle Tampakis instructor at ICE and Zac Young, formerly of Flex Mussels in NYC and Top Chef: Just Desserts finalist. 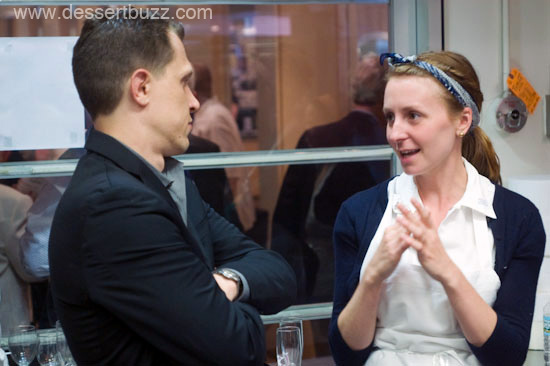 Christina Tosi of Momofuku Milk Bar (opening yet another Milk Bar branch in Montauk, NY soon) and Michael Laiskonis Creative Director at ICE in a serious discussion. 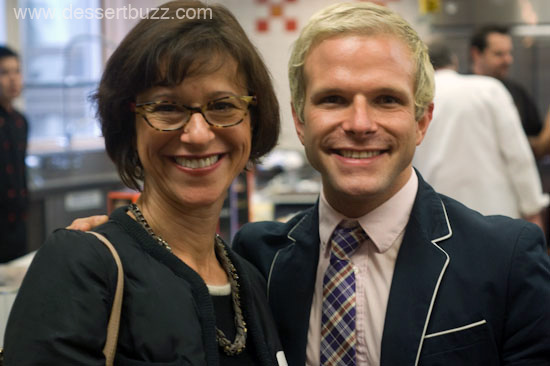 These two chefs recently partnered for the Killed By Dessert Charity Event. Sally Camacho from WP24 in Los Angeles brought out a surprise savory course: hot pork buns! Go here for part I of the Top 10 Event. Full Coverage of past Top 10 events can be found here: 2011, 2010. 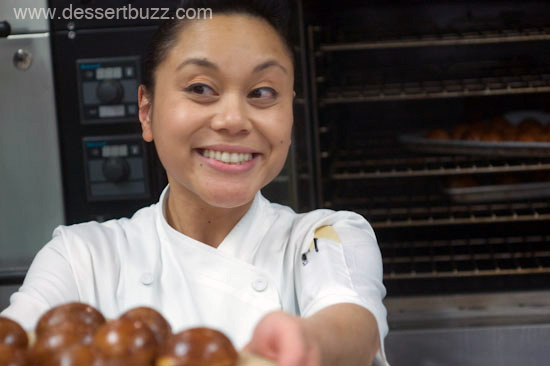 Follow DessertBuzz on Twitter for all your NYC Pastry news. TheDessert Professional website is here. 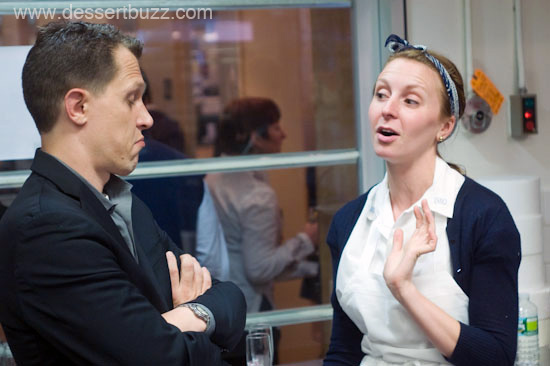 Great to meet you last night at the pastry final! Look forward to becoming a frequent reader.